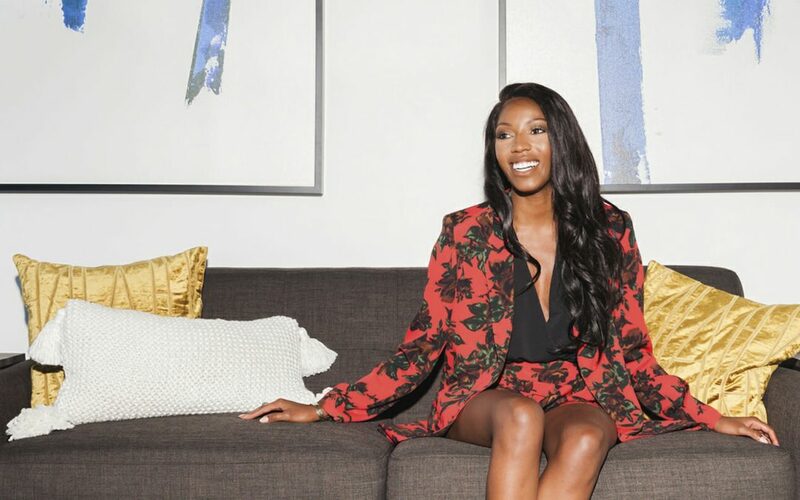 As a 29-year-old vice president at Trimantium Capital and the founder of Twenty65 Fund, Abyah Nycole Wynn is a rare venture capitalist–a young woman of color in an overwhelmingly white male industry, where only 0.2% of black women receive funding for their startups, Black Enterprise caught up with Wynn to talk solutions for funding black women and career advice for breaking into the industry. How are you working to increase funding for women founders? I founded the Twenty65 Fund to put money in the hands of women of color. We will invest in startups led by females and minority founders, with a strong desire to fund more women of color. We want to see that these founders have a solid plan for making positive changes in their communities. But I’m also very passionate about creating a dialogue in the venture capital community about the homogeneous nature of our industry. I’d like to see more minority female VC’s because that’s how minority female founders are going to get the money they need to be successful. We also need the venture capital industry to get serious about the elephant in the room, which is unconscious bias. If we want to overcome our biases, we have to become conscious of them first. In a sector where only 0.2% of black women receive funding, what needs to happen for these statistics to change? This is going to be a little controversial, but I believe the answer is: affirmative action. We need to be conscious about the way we allocate resources. For example, if an investor decides to invest in ten companies, they should make sure that five of those companies are founded by women, and two of them are founded by minorities. I believe VCs should set a hard quota and stick to it. We need to hold ourselves accountable – it’s no longer acceptable to solely focus on making a profit (although I am ALL in favor of making as much money as possible), we also need to direct our efforts toward inclusivity. We can do both. These things aren’t mutually exclusive. What inspired your decision to pursue venture capital as a career? I didn’t see this coming. I’m convinced that it was part of God’s master plan for me. I was working for an investment bank. One day I got a LinkedIn message out of the blue. It was from a man named Phillip Kingston, who’s the founder of Trimantium. My dad knows the financial industry quite well, so I asked him what he thought. He said, “Write this guy back. Now!” We started talking, and a few months later I was hired. When I first started, I had no idea what I was getting myself into. I immediately fell in love with the industry and I was grateful to be a part of a company with such a strong impact investing thesis. The road to where I am hasn’t always been easy. I considered giving up many times. But one thing that has stuck with me is what Michelle Obama once said: if you don’t see people who look like you in a certain industry or profession, it’s hard to imagine that it could be possible for you. I feel a responsibility to pave my own path in the venture capital industry so that little girls (especially little brown girls) realize that they can do this, too. Are you concerned about deal flow (the rate at which VC’s receive business proposals/investment offers)? Deal flow won’t be a problem at all. You’d be amazed at how many people want to help and collaborate on this. It’s a very, very encouraging development, to be honest. I believe our unique value add is our hands-on approach with our founders. When joining forces with a company, we invest more than just our dollars. We bring an extensive network to the table and we’re committed to helping them with everything from hiring their first employees to defining and executing a clear exit strategy. I met JoAnn Wilson (Angel Investor) of Gotham Gal. She said that she doesn’t do “networking,” and she couldn’t care less what others think of her. She taught me to be bullish about term sheets, and she stressed the importance of making sure my financial thesis is aligned with my investment thesis. But some of my favorite words of business wisdom come from my dad: “Party with a purpose,” he said, and that’s really stuck with me. I try to make sure every event I attend can add value in some way, and I’m always evaluating how I spend my time. Any tips or advice for someone looking to break into venture capital? Be nice to people – you never know who might open an unexpected door. A lot of people in the venture capital industry got their positions by having strong networks. I find that most people have a non-linear path to this industry. But if you know the right people, anything is possible. So how do you build this network? Start simple: reach out on LinkedIn, but don’t ask for a job. Ask to get a cup of coffee. Or even send a cold email. You’d be surprised at how people will respond to someone who’s hungry (and polite). Another tip is to attend events that are specifically intended for founders and VCs.